A Penny For The Guy . . . This well known rhyme has been sung in Britain by generations of children as November 5th approached. 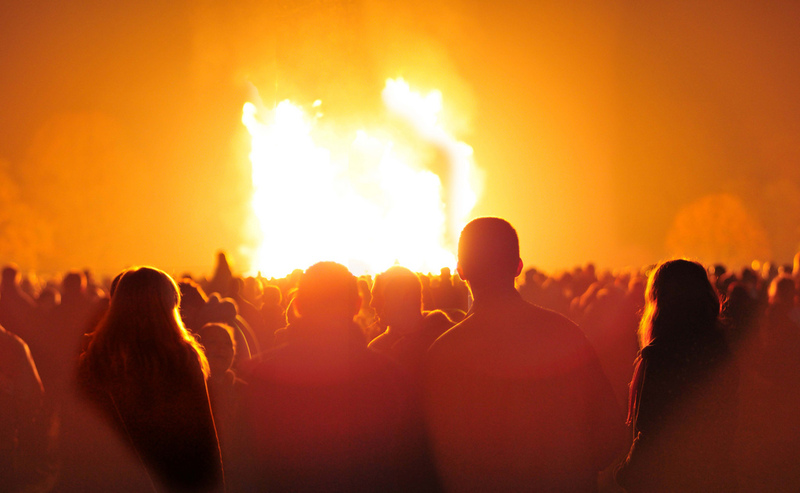 It is still sung in primary schools as children are taught the historical significance of Guy Fawkes Night / Bonfire Night and why it is celebrated with bonfires and fireworks. Literacy, drama and art work of all types also stem from this colourful spectacle. Thanks, Bekki. Most animals are terrified of fireworks and I can imagine you hate them for upsetting Mr. Hicks. We hear so few fireworks in this village because everyone heads off down to the display in the nearby larger village, or in Lincoln. I’m with Mr. Hicks on this one. Either cancel the festivities or have them occur in silence. The former being preferable to the latter. Thank you for your opinion, Prospero. Much as many people agree with your latter suggestion, I don’t think Bonfire Night will be completely abandoned in the near future.